Nothing matches diamonds for drama; these pieces make the most of their icy brilliance. Round ¼" stud earrings have one rough-cut diamond surrounded by a contrasting oxidized border with gold-plate finish. Pave-set rough-cut diamond ring has a ⅜" W oxidized setting in whole sizes 6-10. 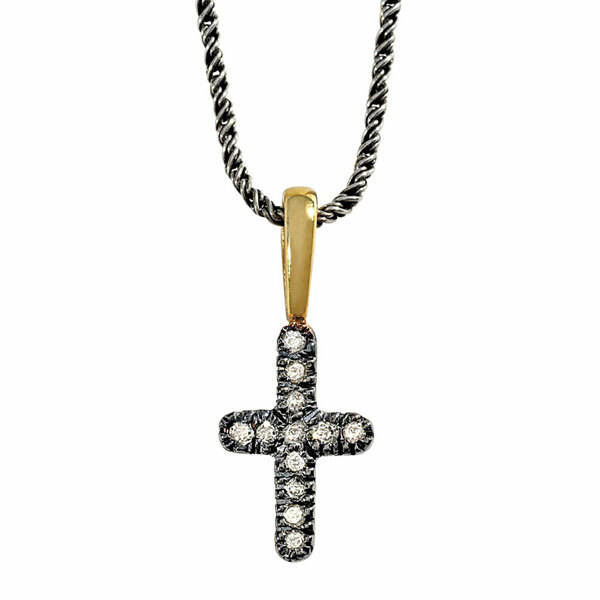 Pave set cross pendant measures ¾"H. Shown on our Oxidized Sterling Cable Chain (sold separately).